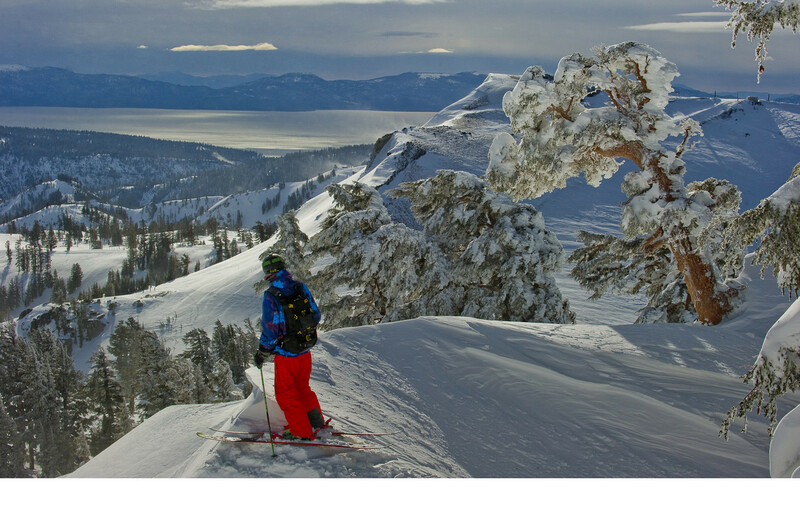 What are the ski conditions like right now at Squaw Valley - Alpine Meadows? Read commentaries and see photos from fellow skiers and riders sharing their on-mountain experiences. Check back daily for new user-generated firsthand reports from Squaw Valley - Alpine Meadows to see ski conditions, new snow and general stoke from the slopes along with images. Firsthand reports are submitted via the OnTheSnow Ski & Snow Report App. Download the free app to be part of the conversation. Am ski was good. Afternoon was downright dangerous with the slush sticking to skis. Skiing 30mph with an a abrupt 20mph slowdown. Yesterday was super fun. Snow started off real nice with some occasional pow if you could find it. There was no wait on KT at all which was epic. Blue skies all day made laps on Belmont and Gold Coast terrain parks fun as well. Major probs to the guys workin on the park nonstop through out the day. The jumps are huge! Lastly, When the skies cleared I decided to head on up to Siberia. I saw people standing up on Palisades so I got up there as fast as I could. The drop was gnarly and I came flying out of there. Loved the guy in the Hawaiian shirt skiing National chute too. Was partly cloudy today with cold packed powder along with some loose snow a top. For me it was another fun fast ski day. With all the reports of heavy wet cement, I didn't expect great conditions this weekend -- despite cooler temps and some new snow. But today was excellent -- lots of soft, deep snow upper mountain, which made skiing even the steepest slopes relatively easy, fast and fun. Lots of skiers there today, but despite some lines, nothing got skied out up top (we missed KT however, which was popular day long). This was easily be one of my three best days this season. We lost visibility in the afternoon with wind and snow, but the stuff underfoot was so pillowy and deep it didn't matter that much -- no fear of hitting anything nasty. Looking forward to getting back into tomorrow! Surface conditions fantastic today. Soft snow everywhere. Very high winds, low vis at times and very crowded. Not enough lifts open. Still a really good day given the good snow. Heavy intermittent wet snow all day. High Camp good snow but zero viz and 25+mph wind. By mid-mt, all heavy, wet, grabby snow. Not a fun day. Some of the wettest skiing I’ve ever done. Not what I was expecting. Wet, heavy, messy, not worth the trek. Sad all that good snow was saturated with these warm temps. Sierra cement. Wind. Avalanches. Rain. All the snow sounds amazing but it’s actually garbage.